I spent a week last September at a workshop in Missoula, MT and every free moment I had was spent walking around about 16 square blocks photographing anything and everything of interest! 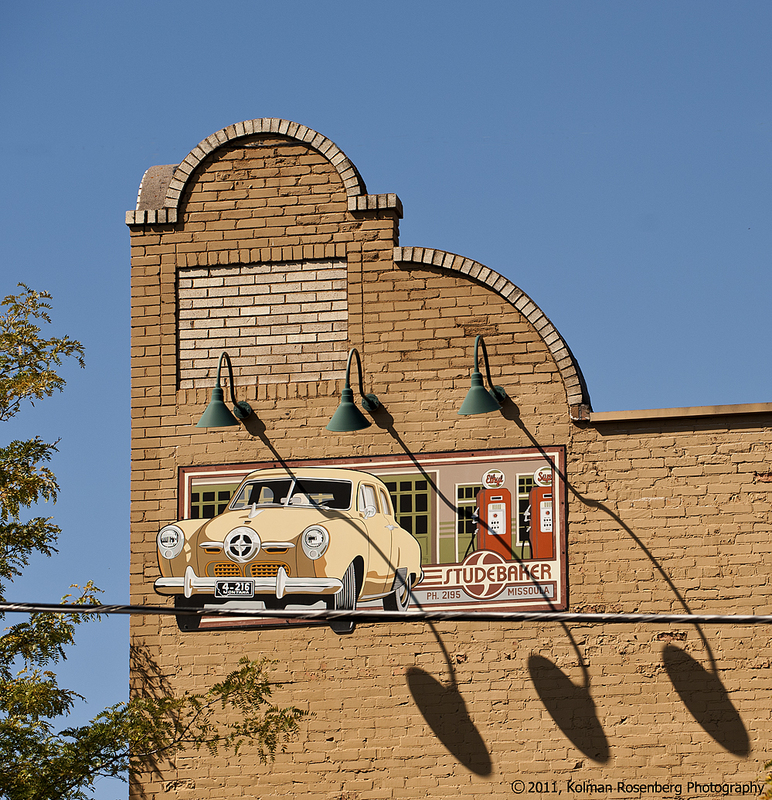 This sign on the side of a building which had once been a stable, Chevrolet Dealership and Studebaker Dealership jumped out at me with its graphic nature as well as the interesting shadows from the lights. I have a fondness for Studebakers as my childhood neighbor drove one that looked just like the one on this sign! Neon signs often capture my attention too. This sign drew me to a great hamburger and beer one evening and made for a nice image as well! Signs are made to capture your attention and they often capture mine. They can be interesting, graphic, and colorful subjects. These are just 2 of the many that I photographed in Missoula. 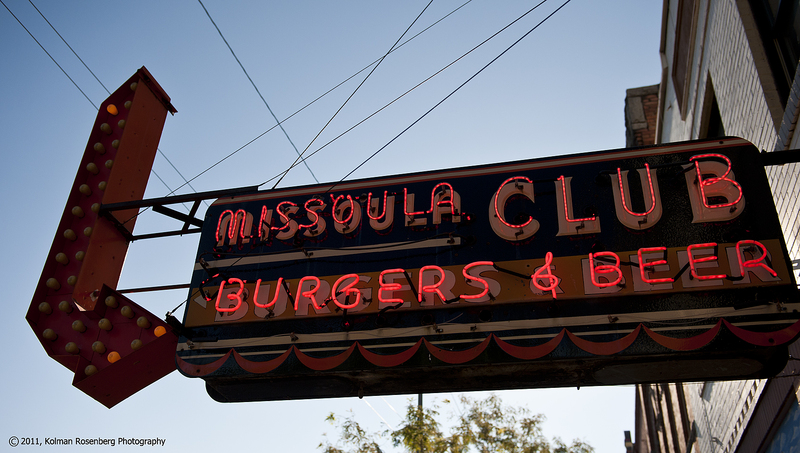 This entry was posted in Uncategorized and tagged bar, Beer, Chevrolet, Club, Dealership, Graphic, Hamburger, missoula, Missoula Club, montana, mt, Neon, Sign, Signs, Stable, Studebaker, Tavern. Bookmark the permalink. Love the shadows on the first shot! Thank you and thank you for visiting and commenting on the blog! You have a very nice blog too, beautiful photos!